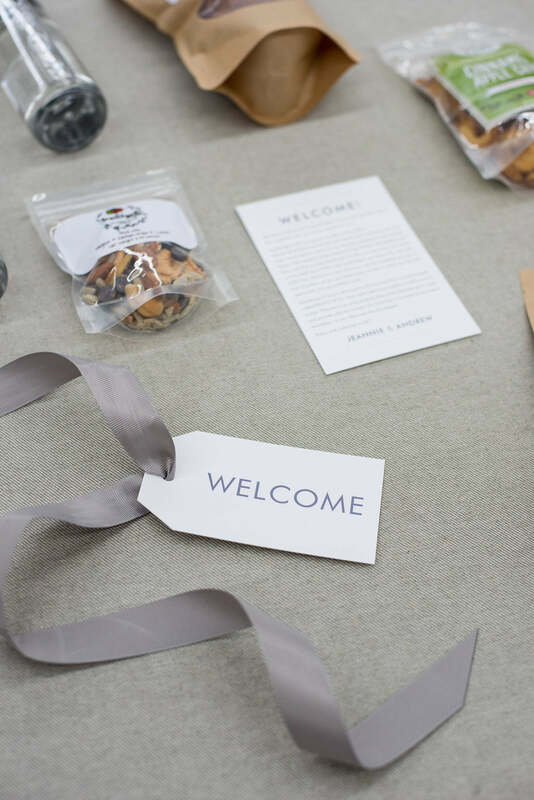 The ideal Marigold & Grey client is one who equally values both aesthetic and convenience when it comes to their artisan gifting needs whether it be wedding welcome bags, bridesmaid gifts, corporate event swag or custom client gifts. Because our clients are typically busy in their own careers and personal lives, they rely on us to dream up ideas for what to include in their custom gift boxes. However, every now and then, a client comes along with very definitive ideas about what they wish to see in their welcome gifts and we are, of course, happy to bring their visions to life. For this particular Washington, DC wedding planned by Rex & Regina, our bride had two requirements. The first was for the welcome gifts to be socially conscious and give back. The second was for the gift boxes to be locally-sourced. Next, our job was to source items meeting these requirements all while figuring out of a way for the gifts to align with the couple's chic, modern, grey and white aesthetic, perfect for their Longview Gallery reception. We sent our bride a full list of local snack companies who give back in some way. After reviewing the list, our client immediately selected our friends at Fruitcycle, a woman-owned DC-area business employing formerly incarcerated, homeless, and/or disadvantaged women. 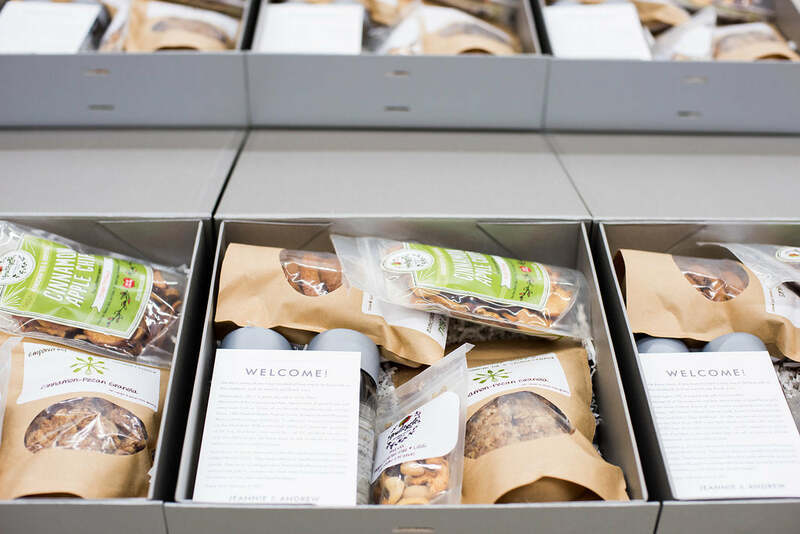 Not only does Fruitcycle have an inspiring mission but their snacks are healthy and delicious! 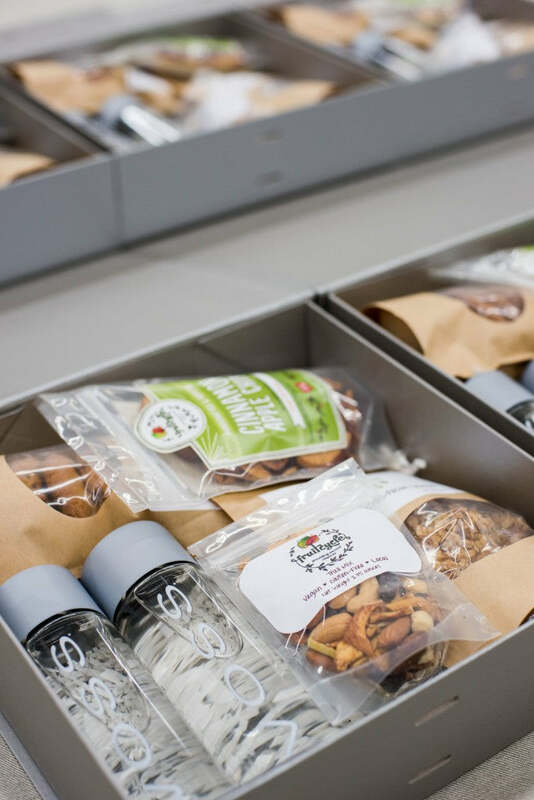 We selected one of everything they offer...apple chips, trail mix, cinnamon-pecan granola and chocolate chip cookies. We also included two bottles of Voss water to enjoy with the snacks. For packaging, we selected modern grey gift boxes with fold-over lids. 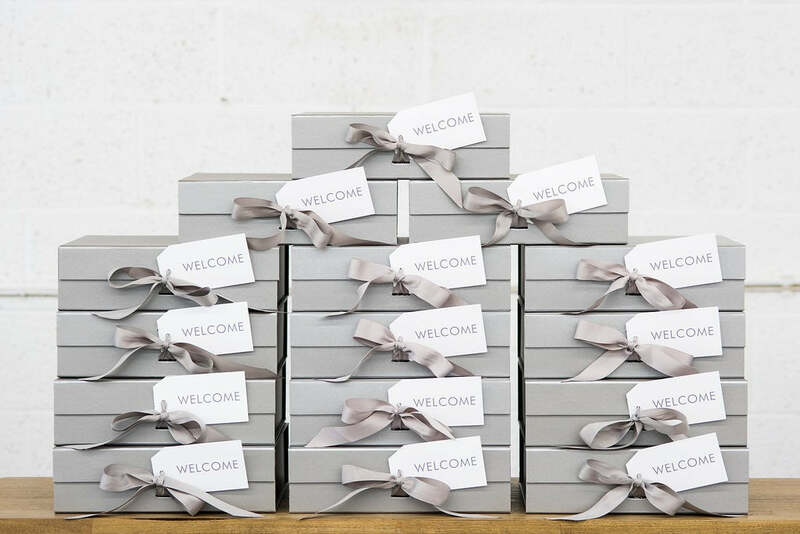 We closed the boxes with grey grosgrain ribbon in the same shade of grey as the boxes. 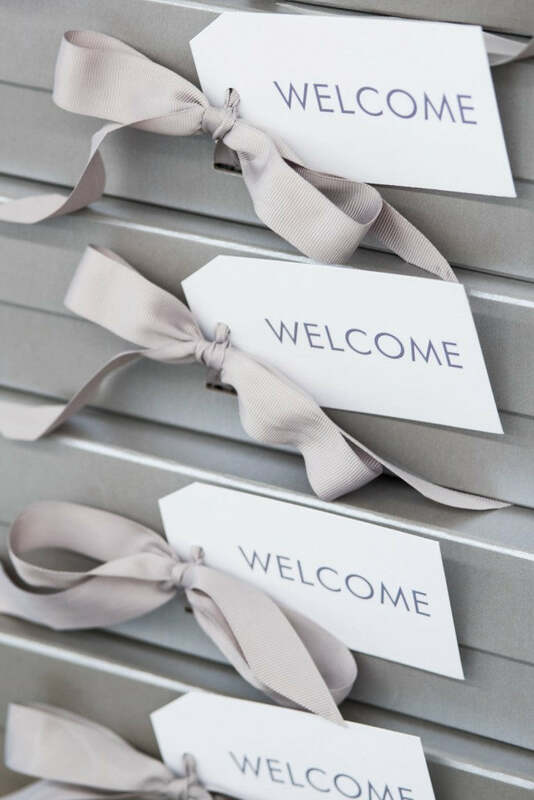 In keeping with the modern aesthetic, we chose simple "welcome" gift tags and custom welcome letters to match, both by Just Write Studios. 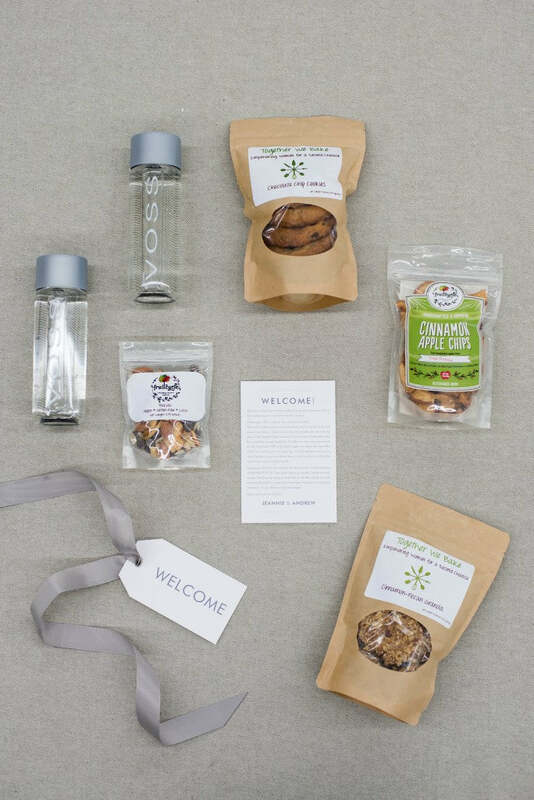 We couldn't wait to hand-deliver these welcome gift boxes to local DC hotels in time for the wedding guests to show up. We were joking in the studio that if we showed up for a wedding and were greeted with this many snacks, we many never leave our hotel room! So, what do you guys think of these modern gifts? We admit they're a little different than what we normally crate but we thoroughly enjoyed the variety and hope to have more projects like this one in the future! For more information on our Custom Gift Design Service, visit HERE.